- Varicose veins - Are you too embarrassed to wear shorts? Are you embarrassed to wear shorts? Home » Spider Veins » Are you embarrassed to wear shorts? 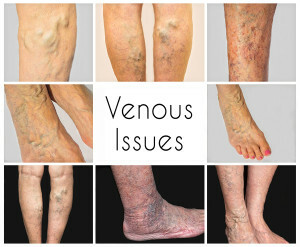 As we age, varicose and spider veins tend to creep up on us. One day our legs look youthful and the next they have a suddenly appearing purplish wiggly line. Up to 55% of women and even 45% of men suffer from some form of vein issue once they reach age 50. Though they may seem innocuous enough, vein issues are not always merely cosmetic. It is important that veins be checked out by a professionally trained Vein Specialist as soon as they begin to present an issue in order to negate further advancement and possible damage to surrounding veins. Spider veins can feel uncomfortable, itching and burning. Though the spider veins are not in and of themselves dangerous they can be a sign of a blood backup deeper inside of the leg in a damaged vein. Superficial thrombophlebitis – a blood clot that forms in a vein just below the surface of the skin. Skin redness may appear and may feel tender, warm, painful and swollen. Deep Vein Thrombosis – deep interior vein blood clot. These can cause a pulling feeling inside of your calf. Like the superficial issues they also can cause pain, swelling, redness, and in severe cases, numbness, turning blue, and cold. If your extremity turns ashy or blue seek medical help ASAP. Blood clots can break free and travel to the lungs, heart or brain and be fatal. Bleeding – Skin is thinner over top of varicose veins. Cuts can easily nick a vein and cause profuse bleeding. Ulcers or sores – Sores and ulcers can form when long-term chronic blood backup has occurred. These are very difficult to heal and incredibly painful. They often cannot heal fully until the underlying issue is repaired. If you notice that your legs or feet are overly tired, red, inflamed, swollen, ache or your veins are becoming visible, bumpy or twisted please make an appointment to visit our Vein Specialists here at West Florida Vein Center. All of these issues cause the legs to look bumpy, swollen, and blueish or reddish in color in areas. This can lead to feelings of embarrassment and not wanting to expose these areas of the body. Get comfortable with yourself again… Give us a call. There is no reason to live with pain or embarrassment any longer. Visit www.westfloridaveincenter.com or call 727-712-3233 our Vein Specialists look forward to being a part of your healing journey.